You saw the first signs of that new system in the last few months, with a new web analytics dashboard that brought bounce rate, time on page, device metrics, and more into your HubSpot portal for the first time. Over the next few weeks, that new analytics engine makes its way into several other HubSpot tools. Your data will refresh faster --- updating every twenty minutes on average, instead of every three hours --- so you’ll be able to measure the success of your strategy (and pivot accordingly) that much quicker. Your website metrics will more accurately reflect the way your customers actually interact with your website. That manifests itself in several ways. One example: session timeouts. Your visitors read your content in spurts. They’ll come to your site, peruse a few pages, head out to their lunch break, then a meeting, then come back and pick up where they left off. 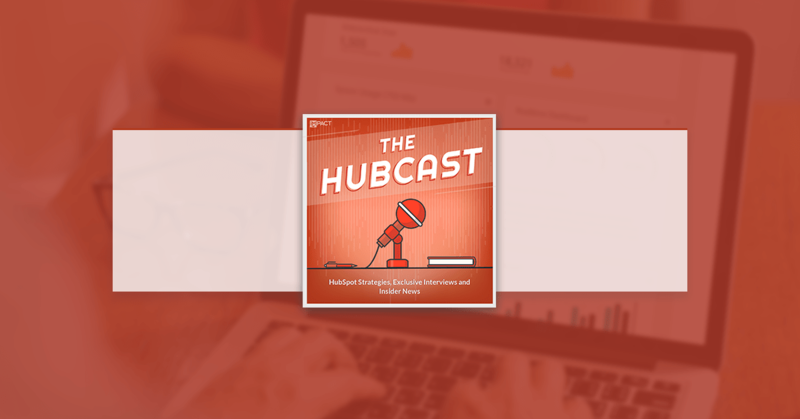 The rebuilt analytics engine in HubSpot accounts for those on-and-off interactions in a much more structured way, with sessions that expire after 30 minutes of visitor inactivity. There is a disturbance in the force!! LinkedIn is removing API support for Groups. This means publishing to LinkedIn Groups from HubSpot will no longer be possible. This affects all Social Media Publishing tools. The only way to publish to groups, will be through the native LinkedIn desktop interface. Update on API change from LinkedIn. Sunset Date: Support for LinkedIn Group publishing will end on 6/30. Note: In advance of this, we will turn off the ability to schedule posts to LinkedIn groups after 6/30. Note: In advance of this, we will turn off the ability to schedule posts to LinkedIn groups after 6/30.Who is impacted? Any customers who publishes from HubSpot Social to a LinkedIn Group. HubSpot had to make this change as a result of the updated LinkedIn API we use to publish to the platform. After 6/30 the only way to post to groups is through the native LinkedIn desktop interface. We still think LinkedIn is a great place to share content and reach prospects but their feed seems to be the best place for content and community. We’re always interested to find new ways to help our customers use LinkedIn to grow and are actively working with them to explore new possible integration points. Group posting now needs to happen through LinkedIn. We'd love to know if this is an issue for you or if you have other ways you want to use LinkedIn. Please share your ideas and vote on suggestions in our HubSpot Community. Bacon and eggs. Great combination. Peanut butter and jelly. Great combination. Rainy day and a movie. That too. Well, a new duo joins the fray: LinkedIn Sales Navigator and HubSpot CRM. Check out this great article as well. What do you think about the Visually Refreshed Content Editors? Over the past year, the HubSpot product team has been working to bring a new visual design to every part of the marketing and sales product family. Today, we're happy to share the visual refresh that has made it's way to the blog, email, landing pages, and website content editors. All of your favorite functionality -- from SEO optimization to Smart Content has moved, or changed, within the new design -- but it now follows a consistent look from your contact record all the way to your content editors. This new refreshed experience is now live to all Marketing customers. Hubcast community, hate, love it, did not even notice? Stitch is a tool to help manage your data pipeline and easily extract, transform, and load data into your data warehouse. Users have the ability to control what data is replicated and how frequently it is replicated. How does Stitch integrate with HubSpot? Stitch allows you to automatically import data into your data warehouse from HubSpot and more than 60 other business sources in minutes. You can also combine data from HubSpot with data from tools like Salesforce, MySQL, Google AdWords, and Zuora allowing you to calculate the true return on investment of your sales and marketing spend and identify your most valuable customers. Ability to create a list based on different engagement type. Currently, when we make call/meeting/email, it falls under 1 engagement and will update contacted date in contact property. I think it would be better to sort by different engagement and create a list and have the ability to export it. This way, we are able to analyze which engagement works better for our business. What would you do with an extra 100,000.00?